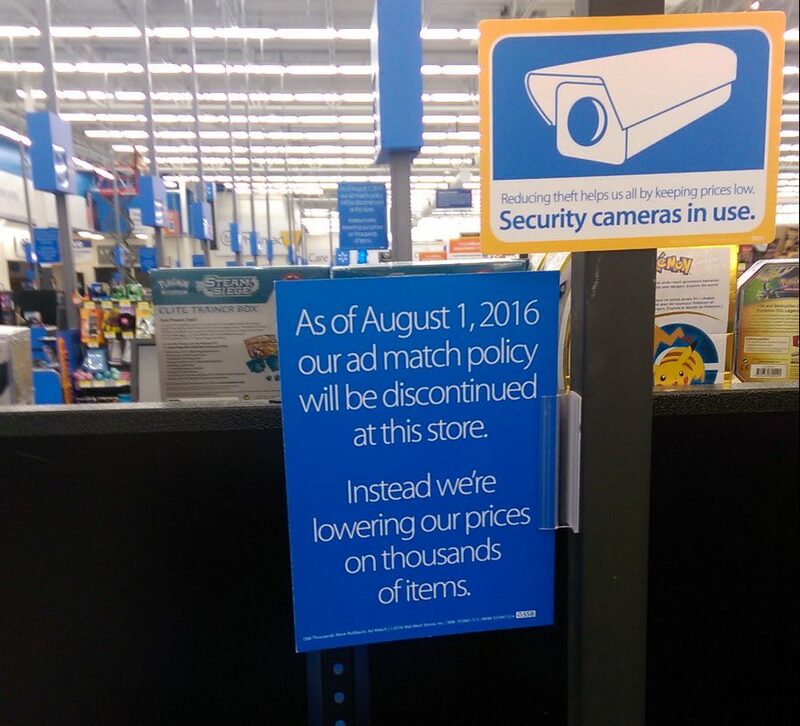 Back in May, Walmart announced that 500 of its stores in the U.S. would stop in-store price matching ads from local competitors. Despite assurances that it had no plans to expand its no-price-matching policy, the retailer has quietly ditched the service at 300 additional stores. Consumerist reader Jeffrey tipped us off to the possibility that the big box retailer was discontinuing the policy at additional stores when he recently noticed signs at his local Walmart. Because Walmart refused to indicate what stores were affected by the policy change in May, it was unclear if his store was part of the initial change. A rep for Walmart confirmed that as of August 1, 300 more stores across the country had stopped allowing customers to price match local ads at the register. “Because we believe you don’t have to trade down or sacrifice quality to save money, customers are finding new savings in select markets as we lower prices on our assortment of national brands and quality private brand items they want,” the rep said in a roundabout way of confirming the additional stores changing their policies. Under the outgoing policy, Walmart allowed customers to bring in local competitors’ ads and if the prices were lower for a product, they would be able to purchase that item at the cheaper price. Since Walmart still isn’t saying which stores — or even which regions — are affected by this policy change, the only way for customers to know if they can’t price-match is when they get to the store. The changes are being announced in-store with blue signs at registers — like those seen by Jeffrey — and managers will be on hand to assist customers. Again, the rep tells Consumerist that in lieu of the Ad Match program, the 800 stores will offer new “significant, long-term” rollbacks on thousands of items that were commonly price-matched, including consumables, groceries, paper products, and other products.